I couldn't pass up this weeks Sunday Social! My parents old 1998 Honda Accord. I still drive it! It's been a good car but I am looking forward to getting a newer, bigger car sometime (hopefully soon)! 2. Who was your favorite childhood teacher? The first one that comes to mind is Mr. Stevens from my middle school. He was my math teacher, which is surprising because I always hated math. But his class was fun. He was young and cool. He was obsessed with Michael Jordan shoes (he wore them every day), Fantastic Four (he circled every number four in the classroom and on our assignments), and we competed in little golf and basketball games to get prizes in his classroom. His class was one I looked forward to, which is good because normally I would hate math class! 3. Were you involved in any sports/extracurricular activities? Share pictures if you can! Yes! I did a lot of things. 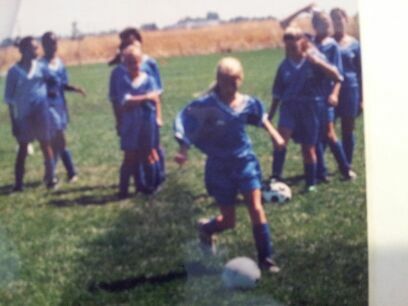 Piano lessons, ballet, tap, but the main one was soccer! 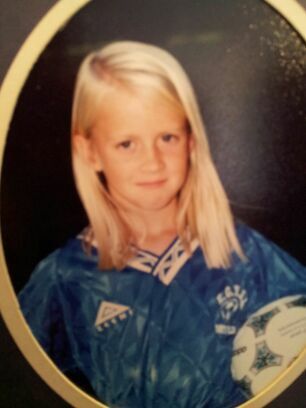 Please excuse these old pictures of pictures! 4. What was your favorite birthday party? 5. Who was your teen celebrity crush? 6. What show/movie did your parents not allow you to watch? We were never allowed to watch The Simpsons! My brothers always tried to sneak it on and sometimes my parents wouldn't notice for a few minutes. Lol. Ooh I have to do this one. 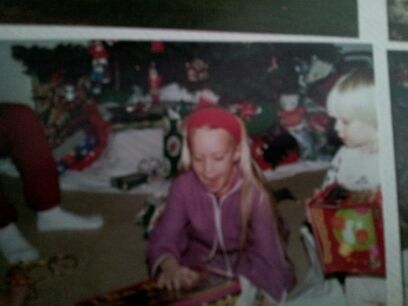 Christmas was our huge hit too. Though I do remember some fond bday moments. 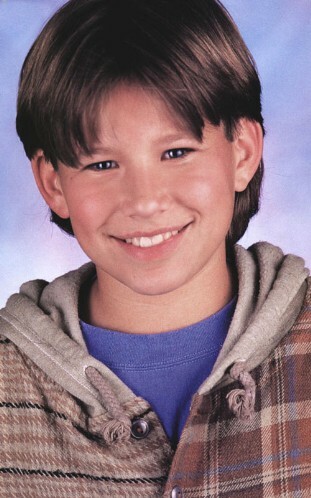 Oh JTT, watched Home Improvement just for him. I think a little piece of my heart is still attached to JTT! :) I wasn't allowed to watch the Simpsons either and I don't think I missed out! It's awful! new follower from the social! I loved JTT too! And, we were never allowed to watch the Simpsons either. i am so excited to follow you! I hope you follow back so we can stay in touch. your blog is beautiful!